While Mission and Ministry said Loyola is not equipped with tools to send students out and immediately start rebuilding, they encourage students to find ways to help, and several organizations have embraced the spirt of “magis” and done just that. Delta Sigma Pi, business fraternity, is planning to do a tornado clean up on Feb. 18. 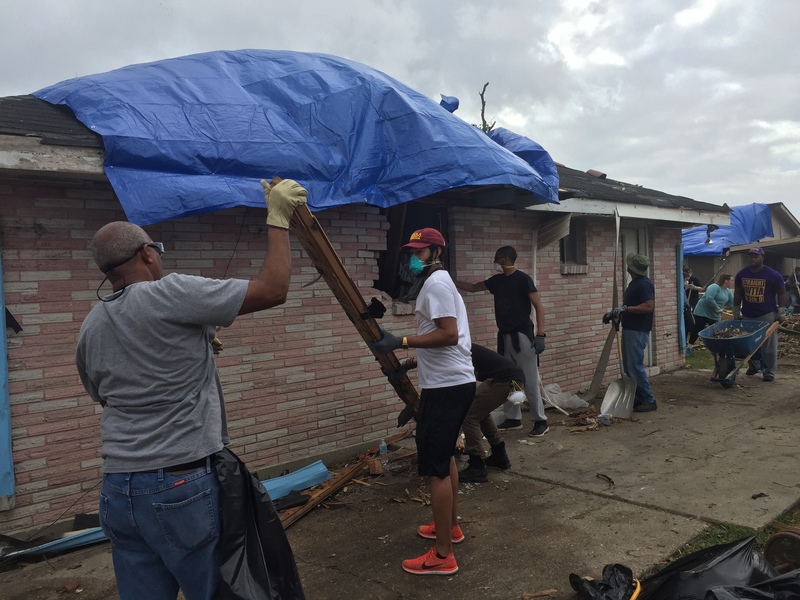 Loyola University Community Action Program is planning a relief project through St. Bernard Project to go out to help with disaster relief on Feb. 18. The University Honors Program is hosting a furniture drive for a Cypress Academy family whose home was completely destroyed. They are welcoming any donations and accepting any students or groups on campus who wish to assist. Last Saturday, Loyola’s chapter of Alpha Phi Alpha held a prayer service for the victims on Feb. 9, and Allen Moret, management junior and director of educational activities for Alpha Phi Alpha, reached out for volunteers to assist with a day of service on Feb. 11. As of right now, Mission and Ministry is accepting monetary donations, as well as bottled water, canned food, unused toiletry and personal hygiene items, baby diapers and formula and cleaning supplies. Kurt Bindewald, director of Mission and Ministry, also stressed the importance of working with emergency response organizations.